Group at Water and Sewerage Office, Thompson Blvd. and at the concluding sessions at IDB, East Bay Street. The Government of the Republic of Trinidad and Tobago recently received funding for a Technical Exchange visit to The Bahamas and Jamaica on the topic of Non-Revenue Water (NRW) reduction. Supported and hosted by the Inter-American Development Bank’s (IDB) Bahamas country office in Nassau, the objective of the exchange was to build the capacity of a Bahamian team, that includes partners from The Ministry of Public Utilities, and The Water and Sewerage Corporation. Senator the Honorable Robert Le Hunte, a delegate from Trinidad and Tobago, explained that the sessions were impactful. 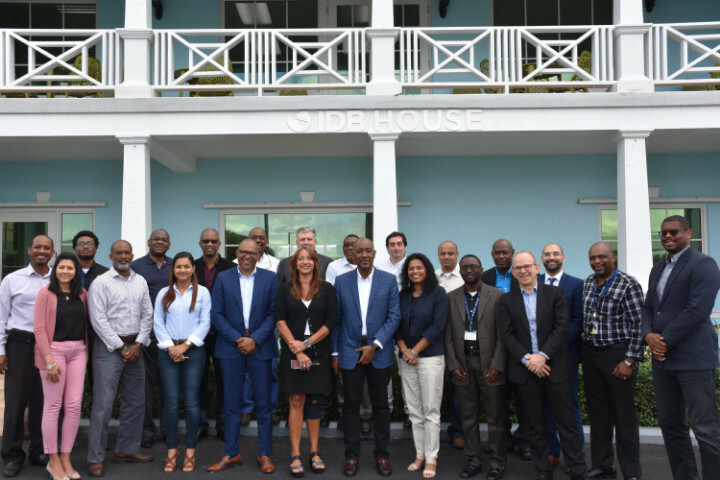 “The purpose of this session in The Bahamas was really to look at the IDB-funded project with MIYA [Please spell out MIYA], and what were their successes have been regarding NRW, such as producing NRW within the island. He added that most important element of the exchange visit was the focus on the pros and cons associated with the contract, with the view of seeing how all interested parties can learn from this process, and how some of these changes or some of the benefits of what this company did to reduce NRW in The Bahamas could also be implemented within Trinidad and Tobago. Other benefits of the exchange visit included sharing of best practices in NRW reduction, the use of innovative contract modalities and cost savings in operations and maintenance, discussions on operational and maintenance issues faced by The Water and Sewerage Corporation, and general collaboration among industry thought leaders. “As always, we are pleased to collaborate with all partners involved as well as to assist in bringing thought leaders together to share best practices and achieve shared common goals,” added Daniela Carerra-Marquis, the IDB’s country representative in The Bahamas.